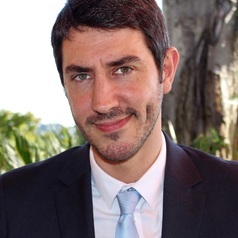 I am Professor of Internet Governance and Regulation at Fundação Getulio Vargas (FGV) Law School and associated researcher at the Centre de Droit Public Comparé of Paris 2 University. I focus on the regulation of Internet access, data protection (particularly regarding online platforms) and digital policy in the BRICS. Before joining FGV, I worked as an agent for the Council of Europe Internet Governance Unit; served as a Network Neutrality Expert for the CoE; and worked as a consultant for the Internet Society and earned a Ph.D. in public law from Université Panthéon-Assas, Paris 2. Over the past decade, I have coordinated several research projects in the field of Internet Governance, authoring and editing research outputs in English, French, Italian, Portuguese and Spanish, amongst which “De la gouvernance à la régulation de l’Internet” (Berger-Levrault, 2016); the “Net Neutrality Compendium” (Springer, 2016); “Community Networks: the Internet by the People, for the People” and “Platform Regulations: How Platforms are Regulated and How They Regulate Us” (FGV, 2017); "Gobernanza y Regulaciones de Internet en América Latina" (FGV 2018); and the “Community Network Manual” (FGV-ITU-ISOC, 2018).